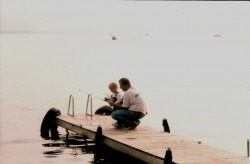 Fishing is a favorite so bring your boat, or use a rowboat that is provided for use. 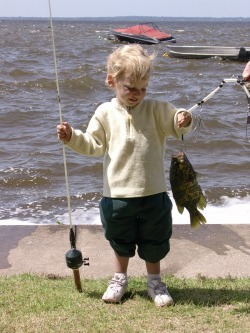 Houghton Lake is home to walleye, pike, bass, perch, and sunfish. Forgot to buy a license? That's okay! There are places nearby and a Super Walmart on the south side of the lake where you can purchase your license and anything else you forgot. 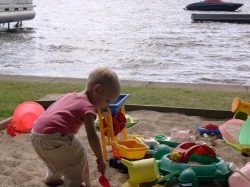 Children are welcome here and can play on the swings, in the sandbox, or in the water. 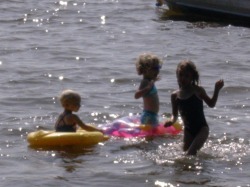 The lake is shallow enough around the shoreline for kids to play without fear of the water getting too deep. Howards' Lakeside Haven is close to many places of interest. Use us as your home base while visiting Mackinaw, Traverse City, Sleeping Bear Sand Dunes, Hartwick Pines and many more of Michigan's great sights.